Let me tell you a story… – "No beauty shines brighter than a good heart"
"No beauty shines brighter than a good heart"
Claire Thunderbolt has a fabulous flat in NYC’s trendiest neighborhood, a troupe of glamorous socialite friends, and a closet brimming with the season’s must-haves. The only trouble is, she can’t actually afford it-not any of it. When Jacob Cruise see’s Claire for the first time he has never met anyone like her. Classy and beautiful. When Jacob asks Claire out she has no idea how to behave around him. Everything in her life is fake and made up. Lucas steps in to help his roommate win a glamorous relationship. Jacob is a superstar but still an ideal boyfriend, who loves Claire more than anything he has ever loved. Claire knows that but its too late as she is in love with someone else. Will Claire every find peace in love or will it go bad as she always fears. I will never forget the beeping of monitors on 7 august 2018. It must have been around 1:20 pm and we (Me and my husband) were so excited for our doctors appointment. We had been anticipating some good news. It was approx 4 weeks back when we learned about our pregnancy and we were a picture of pure happiness. I remember sitting on the toilet pot, holding the pregnancy stick with two lines, indicating a positive result in my hand and jumping with joy, After all, this is what I had been waiting for – forever. We were lucky that we got pregnant immediately after we started trying and the longer phase was more of deciding to get pregnant. We both would often agree and then get cold feet but eventually, that night of March – We agreed and boy! here I was in July, 5 weeks pregnant already. A close friend had once told me about all her research before she got pregnant but did I do any? None. We never anticipate ourselves for any misfortune or falling in low statistics. She often told me that 1 in 4 pregnancies end in miscarriage and that used to keep her up at night since she had found out about hers. When I found out about mine, I did not do any research, i was just eager to tell every person in my life about the upcoming baby, i would sit and dream about being a mother, what will it be? What if I have a boy (I always wanted a girl) and that Tuesday afternoon changed my entire life. a day that will haunt me forever. 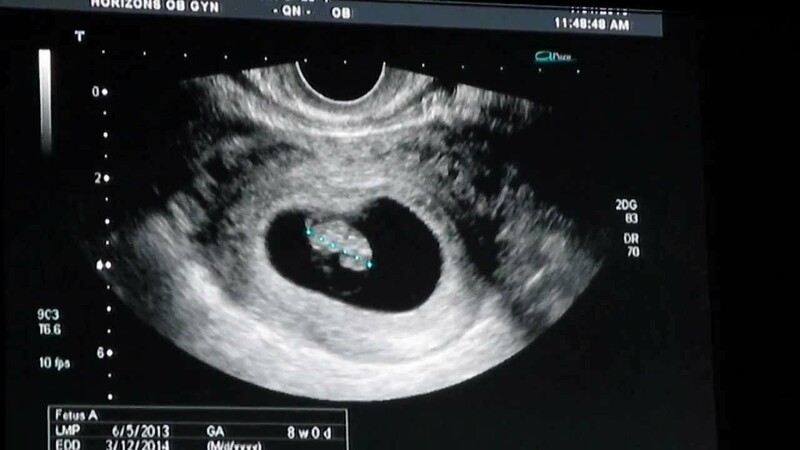 I was suppose to be 11 weeks pregnant by then and when the doctor inserted the vaginal ultrasound I could see the tiny image on my baby on screen. It always brought tears to my eyes whenever i saw him/her but we were not prepared for whatever came next. The baby was showing up to 8 weeks 4 days when it should have been 9 weeks 4 days. Sometime babies are just short or smaller but the next thing was “No heartbeat”. My precious little baby had no heartbeat. I debated sharing this so soon and I’m still frightened about making such a private struggle public, but I’m doing it anyway because it’s important. After my D & C, I spent hours on the internet searching for women who had been through it. I was desperate to find someone, anyone, who could relate to what I was feeling.Someone to tell me that the depression and hopelessness were normal. That it wasn’t my fault. That I wasn’t broken forever. It breaks my heart to think that losing a baby feels like something we have to keep to ourselves. Why is it any different than the death of a loved one? How is it any less meaningful? Here is what I have learned as I begin to crawl out of the dark hole: support is everything.I could not have survived this without the unconditional love of my partner. Despite his pain, he was my rock and my safety net. I will never know how to thank him. 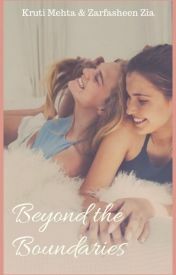 Calling in for BETA Readers! A lot of you here know that me and Zee had been working on a book together that took a long time to finish but it finally did. We did it. Since “English” is not our first language we are looking for Beta Readers with English as Native Language. If you are one and you will be interested please reach out. English is not my first language so there might be better words that come to your mind and you feel I should use them instead the one’s I have used – Please mark it. I am sure you will find typos, grammar errors and missing words. Please mark those so I can clean them up. Are there sections that drag? Do the characters seem real? Do they behave and talk in a consistent manner? Did I leave too many clues so that you figured out the ending well in advance? I have completely rewritten the story five times, tearing it apart, shuffling scenes, deleting and inserting characters and tweaking the plot. I am worried there may be plot inconsistencies or characters who know things they shouldn’t know until later. So please let me know if you find any of these issues. Oh, how soon do I want replies? I’m hoping to get your feedback within 3-4 weeks (15 July 2018), so I can get on with getting this finalized. Why is the path to healing always so hard. Those dull gray shadows never leave me alone. When my father passed away, I was the strongest one. I did not cry much, I did not get the room to having to handle my mother and my brother. But now, I feel like it’s all slipping away. I have been having episodes, meltdowns or whatever you call it. Whether its while driving my car or while working when my keyboard in clinking with all the typing I suddenly realize a silent tear on my face. There have been times when I touch my face and I find it damp. Like 90% of the world, google is my therapist. I google my symptoms and troubles and see if anyone out there knows how to cope with a situation like this. Most of the time I find junk but once in a while I find tip or two useful. At times, I feel like I am losing my mind. I try and keep myself occupied with work. I try to be the busiest I can but that is not very easy either. I don’t know how to put this situation in words but it’s like I am not busy but but in my head I am very busy with 10000 useless thoughts and I feel tired and exhausted all the time. There is pain and guilt inside me. Pain of losing a father and guilt of not telling him I love him enough. I am not sure he knew how much I loved him. I never said or expressed. We never spoke much off lately. I feel like he was struggling inside and I never took the time to ask him about his problems. A blog said meditation helps, but I feel like I don’t even know how to meditate. I sit and try and try but some thoughts never leave my head and they torment me inside and I never find that peace that I am suppose to find while meditating. I tried reading a lot of Rumi and it really helped but then only for those few minutes. What after that? I tried finishing my book but NO, I feel like I have lost my writing skills. I no more am passionate while writing or write to achieve something. At times, I see an airplane in the air and I would stare at it for long minutes, I would stare at butterflies and birds. I am scared of becoming a sadist. Any of you have any suggestions for me? I have been on and off this space since a few years now. 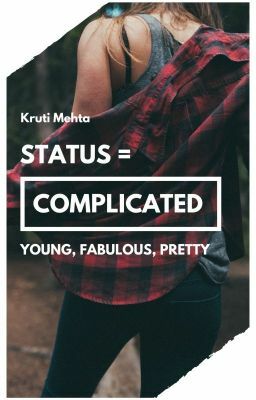 There was a time when this blog was my life – one post a day was my goal but that changed some two years ago when I transitioned from India to United States and more importantly I didn’t take it lightly – I was mad, sad , not “Ok” and wanting to go back. Within these two years a lot of new changes came in my life like adjusting to this new married life, getting a nice job (took me 3 companies to finally find the one that I like) and finally being ok to live here. But all of that took me far far away from my blog and also from the book that I was working on that time with one of the best thing that these blogging space has given me “Zee” – but we are getting closer this year towards finishing it *Finger’s Crossed* and I have to give “Trent” (Another best thing from this space) the credit for that – The guy has been nothing but motivational. Last month I was pretty excited to do something for my parents as their 30th Wedding Anniversary (2nd March)was approaching. They have made a lot of sacrifices in their life to make sure me and my brother got the best necessary education and finally it was the time when I had access to all the resources to make their life easier. On 28th Feb I got a call from my mom that my Dad has been not feeling very good and is in ICU and that I should come immediately. That was the worst day of my life as I packed my bags and flew to a far far away land called India (Takes almost 32 hours to reach home). I reached on 1 March and went straight to the hospital. I saw some of my family members waiting there for me to take me to my dad. I would never ever forget that feeling in my life – No one was talking, everyone was whispering and then when I saw him I cried – He was covered in tubes everywhere, he could not speak, he was in something called hepatic coma but he saw me and he cried and gestured that he wanted to go home. I was in the hospital that whole day taking updates from the doctor every few hours and it was 9:30 pm when our names were announced. “Nilesh Mehta’s family should come inside” were the words – words I will never forget. We went inside to see hi lifeless body on the hospital bed. He was gone. I was holding his hand, still warm, hoping to wake him up. I was poking him with my fingers not knowing what to speak. We were informed that he had a heart attack (Cardiac Arrest) and that he had crossed the rainbow bridge. The next day was their 30th wedding anniversary and he did not wait even till that day – he left us. My brother was due to arrive the next day and when he landed he wanted to see the dad first. In his mind he was still in hospital but he was in the cold storage unit and breaking that news was the worst thing I had to do. He did not take it lightly either. He got violent, started punching the wall and just closed himself in the room. Next day we had to do all the final rights. In Hindu Culture, we don’t bury the body, instead we burn it. Normally the son does it but this time Me and my brother we both did it. I will never forget that moment when I had to burn his body, a moment forever imprinted on my soul. I was sitting there for whole two hours looking up at the smoke as it took him away. I had not met him since 2016 when I last went to India and was due going August this year. I don’t even remember when I last spoke to him. I just want to tell you all that “Speak to your parents” before it’s too late – I seriously don’t have words to frame the thought but I am sure everyone will get it. A few days later my Mom handed me a file that my father had got for me from my grandfather. My grandfather is 85 years old and cannot hear well but it doing just fine. The file was full of letter written on butterpaper stamped from Germany dated 1958. This is just the beginning of my search for Ruth Jedelhauser. I always used to wonder “Why do I connect with strangers so easily”. There was no one in the family like me (interested in writing and talking to people around the world – basically just curious) but now I realize that there was someone and only that I did not know about him – My Grandpa. My first thought looking at those letters was “Omg, this is priceless precious and beautiful” – My second thought was “I need a pen friend in my life”. Most of the letters had little drawings and illustrations on it. They were hand painted and simply beautiful. Back in 1950’s when the world was much better without internet and TV. That resulted in people having REAL connections. There seems to be a bit of confusion on when the first official Pen Pal relationship was formed, but most of the dates I discovered were in the 1930s. One organization in particular, the Student Letter Exchange has been assisting in the matching of Pen Pals since 1936, when a teacher decided that his students should connect with students in other countries to pique their curiosity and expand their knowledge of the world’s cultures. Pen Pal companies have been popular at various points throughout the past century. Some of these were/are paid services, which match letter writers with another enthusiast with similar interests. One of the more interesting anecdotes I found about Pen Pals was in regard to the Parker Pen company’s exhibit at the 1964/1965 New York’s World Fair. The World Fair is popularly known to have been an elaborate display of America’s movement into the Space Age with many futuristic exhibits and modern advancements up for show. One such marvel was a computer in the Parker Pen Company’s pavilion, which matched Pen Pals using this strange new computerized technology. The service was discontinued in 1967 and none of the information was transferred to other organizations or Pen Pal clubs. Small disclaimer that this interesting tidbit came from Wikipedia, and it’s credibility may not be 100% sound. However, for the sake of my imagination (a crowd of men and women in 60s attire, watching in awe as a large metal box with flashing lights seems to use some form of thought to match Pen Pal intenders… They stand in line, either cautious or skeptical, waiting to receive the address of their future friend in exchange for their own), I’ll take it. The letters that I came into possession of were all communication between my grandfather “Pravin Mehta” and someone called “Ruth Jedelhauser” from Munchen (munich), Germany. They communicated from 1953-1960 and what happened afterwards in pretty unclear. I have been trying to ask my grandfather who is very old, cannot hear and does not remember a lot of things but he does remember Ruth. Siblings: Christl, Ellen, Inge, Ruth (From youngest to oldest) – Ruth was the oldest. The address is of a student dorm for girls and I already write them an email with the following response. I believe in the power of online community – how can I not? WordPress has given some of the best memories of my life and lifelong connections. I request you all to help me find Ruth or her family. If you have access to ancestry or genealogy records help me find her please. There is something truly unique about those handcrafted letters. 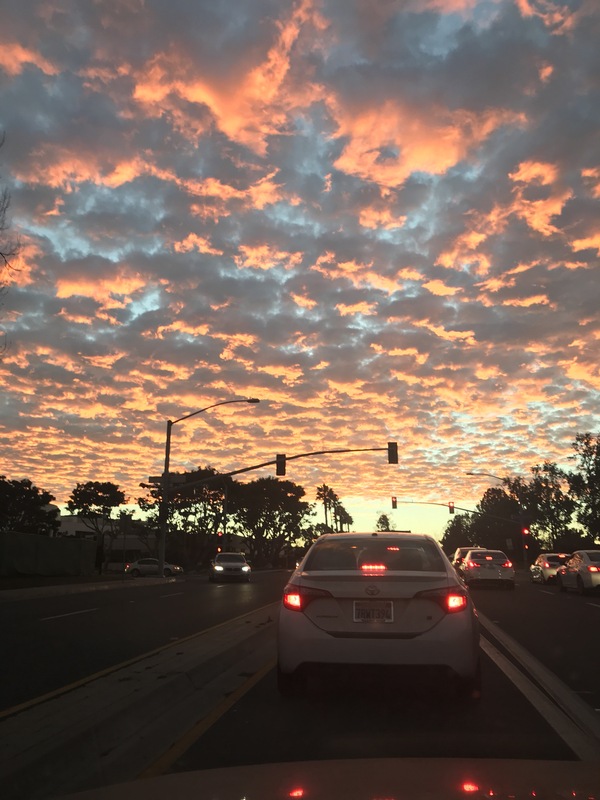 San Diego Sky – What do you think? I was driving home from work the other day and the sky looked surreal! Had to take a picture – The first thing that comes to my mind looking at this sky is “Journey” – Life is a journey of happy and sad moment! Those dark clouds with bright orange light kind of represents that for me! But I wanna ask you all too! What is the first thing that comes to your mind looking at this picture? Let me know in comments! ps: Its been long since I blogged and I have been consistantly irregular 😦 Sorry for that – Its just that the Journey is getting interesting and different! It’s true that your brain gets a hell lot confused when you travel too much in various time zones and do a tone of things in between, manage a lot of people, you have a tons of responsibility on your shoulder, you are trying to keep up to every commitment you made on this planet and be very responsive to everyone that needs you. I am in that phase on my life when I am so tired doing so many things for everyone that at times it confuses me and I am unaware of my true purpose and also forget the difference between wrong and right and I lose the sense of time. I had read it somewhere about the most harmful rays on this planet comes from our cellphone and I am a kind of person practically always available on cellphone and I kind of do every single thing from my phone. From my personal emails to work emails, calendars, alarm, grocery list, health status, stories and books, blogging, social media – you name it and I have everything on my phone. I change my phone every year as it’s all worn pout at the end of the year. It never felt stressful or painful until off lately with this new job and a lot of emotional ups and downs that I feel it’s really wearing me out. I work for almost 12 hours a day and I cook daily – not because I am Indian and I have to – that’s a very wrong notion – mostly because I suffer from Chronic Urticaria – an autoimmune disease that is not a fan of my eating out – especially food with lot of preservatives and it shows it’s anger in a very bad way. I feel tired, I almost sleep on the wheel while driving back home and I have to either talk to someone on call or burst the music at full intensity to stay in senses. Not to mention – I realized how addicted I was getting to social media and making my private life public for people to pick on it and be judgmental in the worst way. I actually had a few experiences kind of eye opener ones where I was able to see the true colors. I disabled my Instagram account temporarily (Trust me I still dont have the heart to delete it completely mostly because a lot of memories shared there are just there and I have no other copy of it). Same applies to my facebook account and I will come to blog only once a day – may be in the evening and not visit it regularly. I have been having a lot of anxiety and I had to cut it down somehow. The only medium open for me at the moment is email. This is going to make my Spanish mother very happy and my Indian mother very sad haha!! I am following "A girl like me"